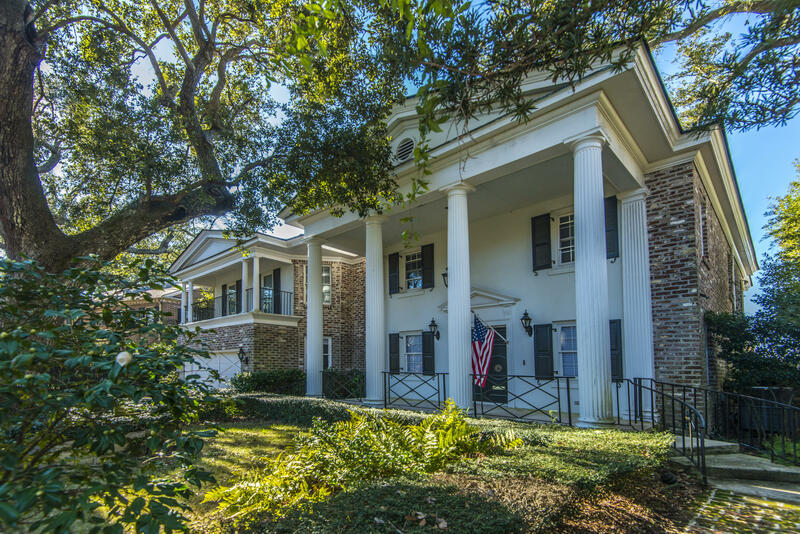 Nestled in the Old Village of Mount Pleasant and next to Alhambra Hall is a historic formal private garden & grounds called Pierates Cruze Gard. 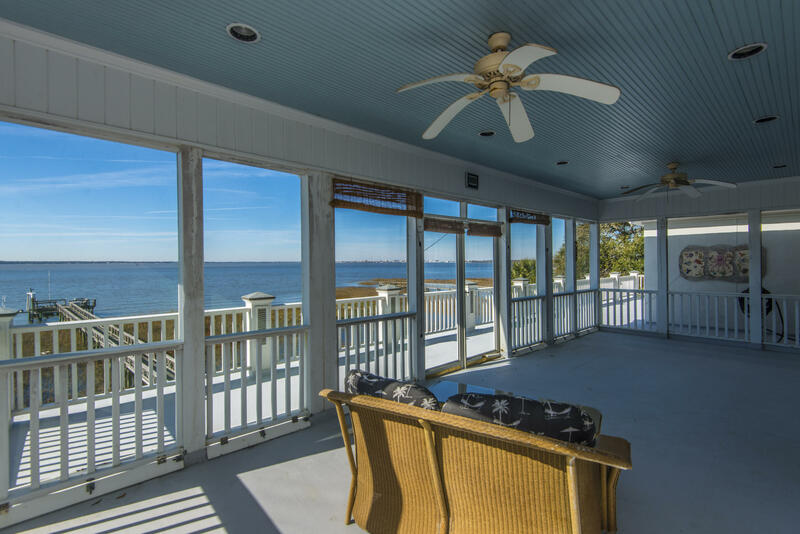 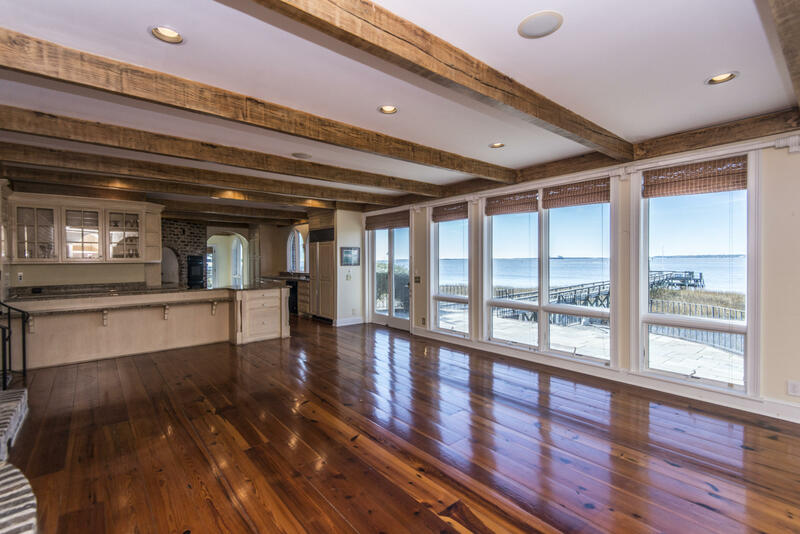 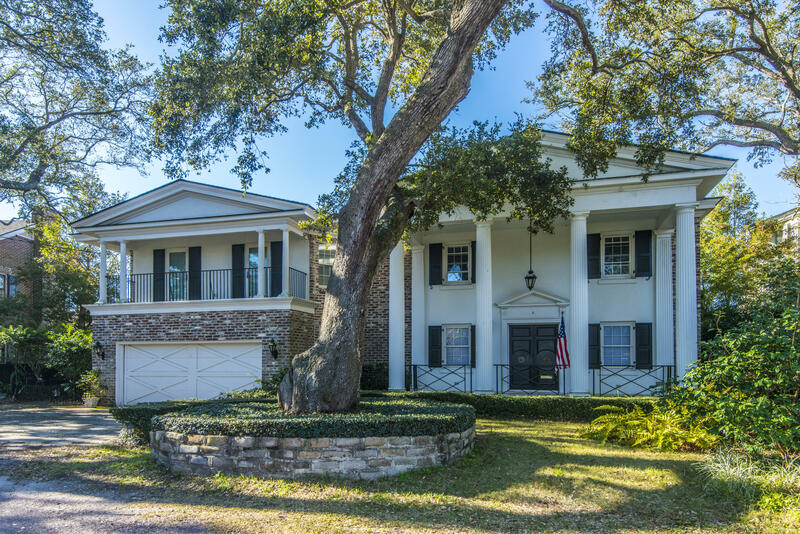 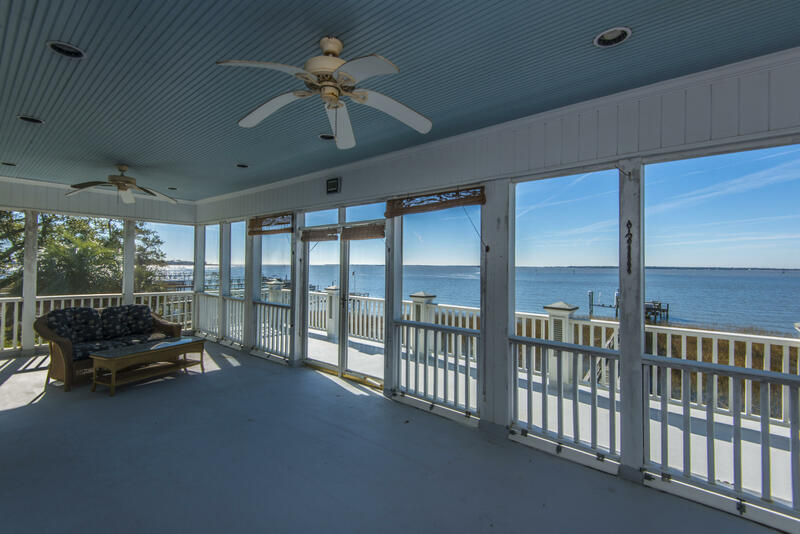 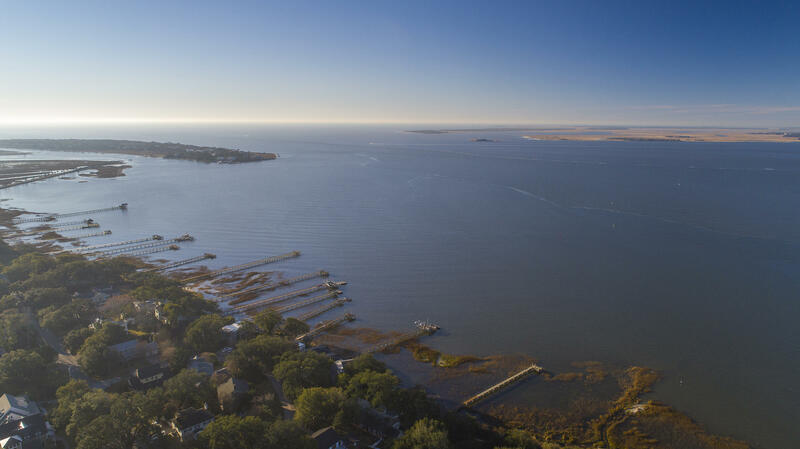 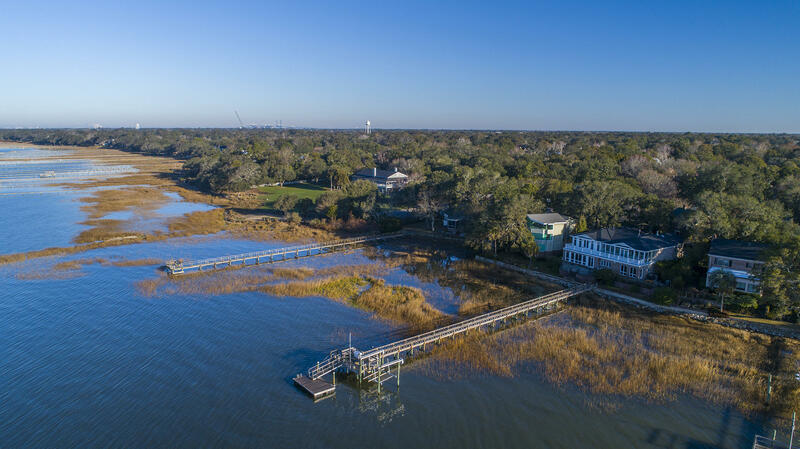 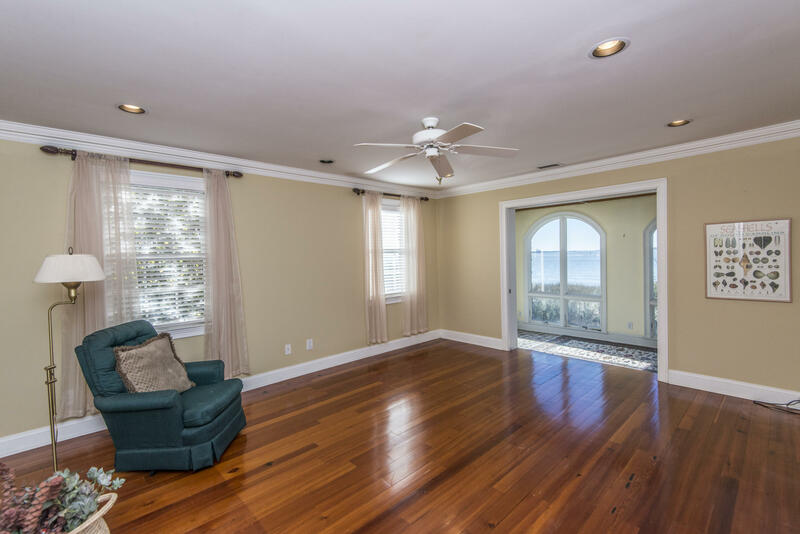 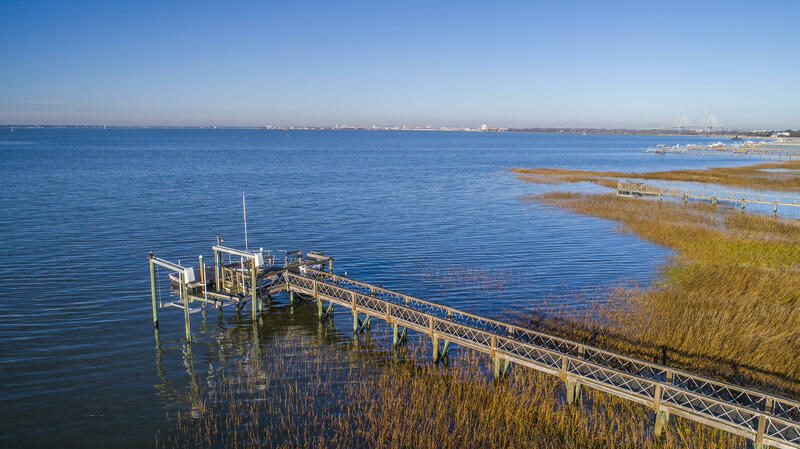 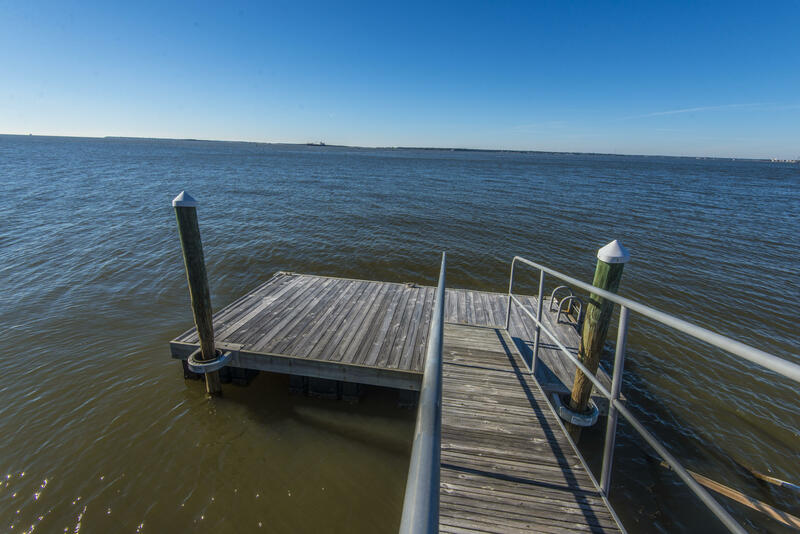 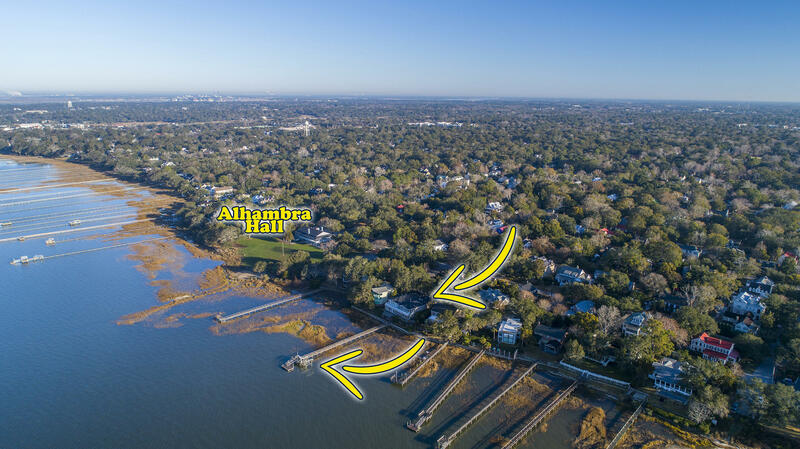 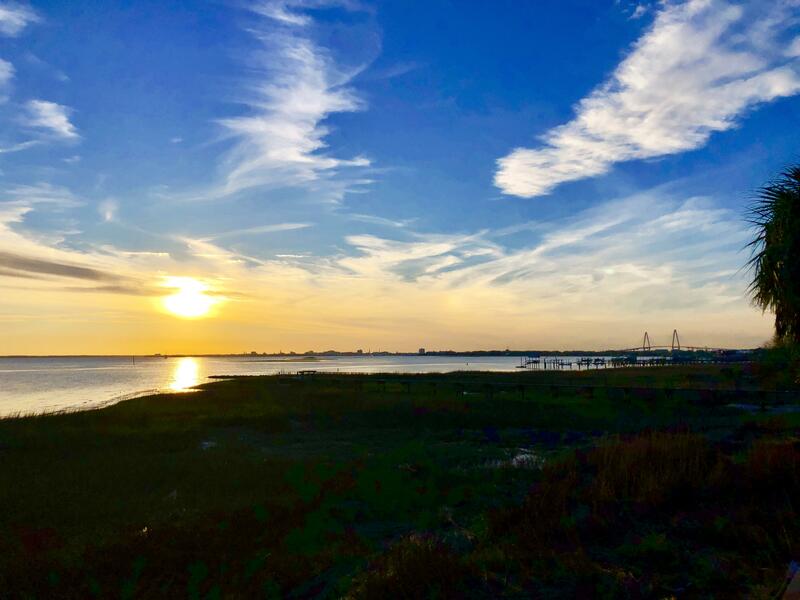 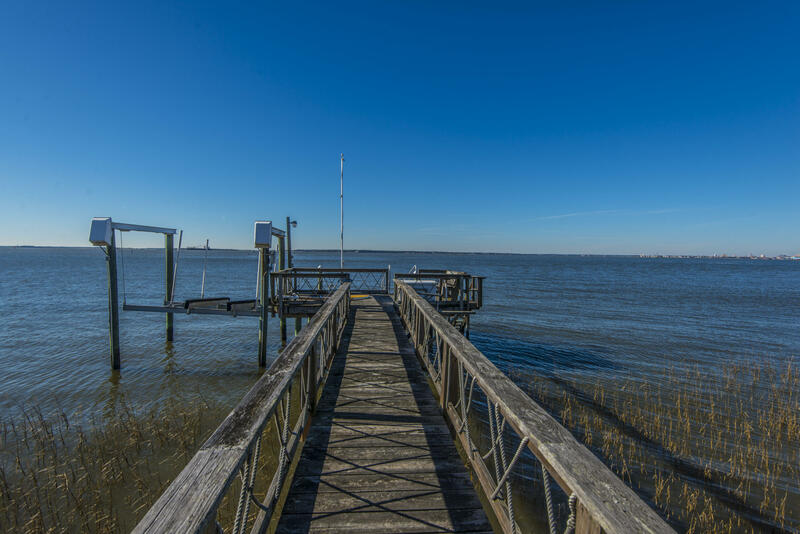 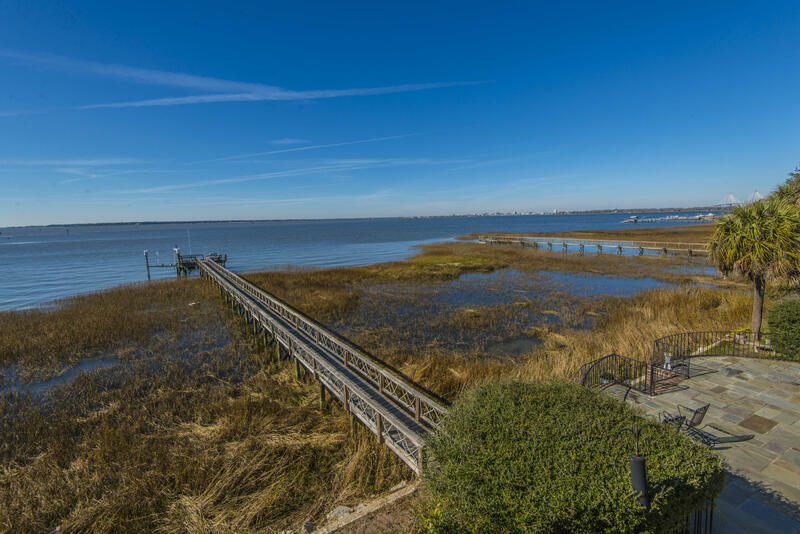 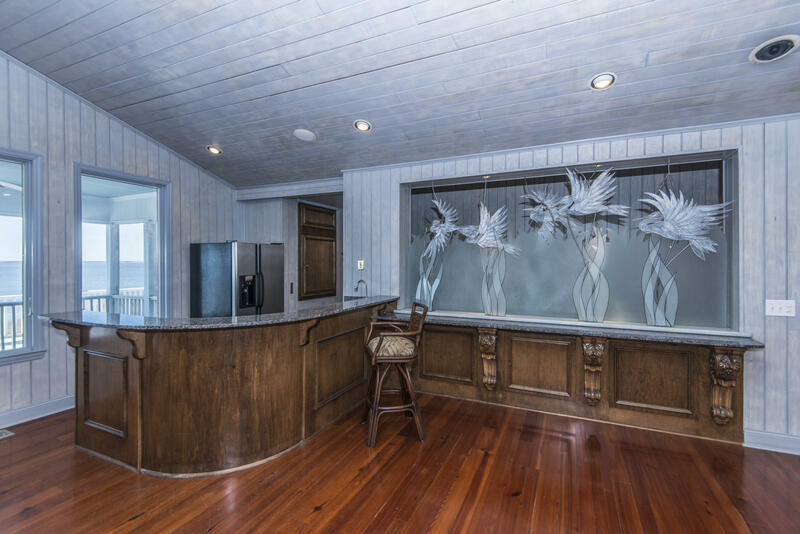 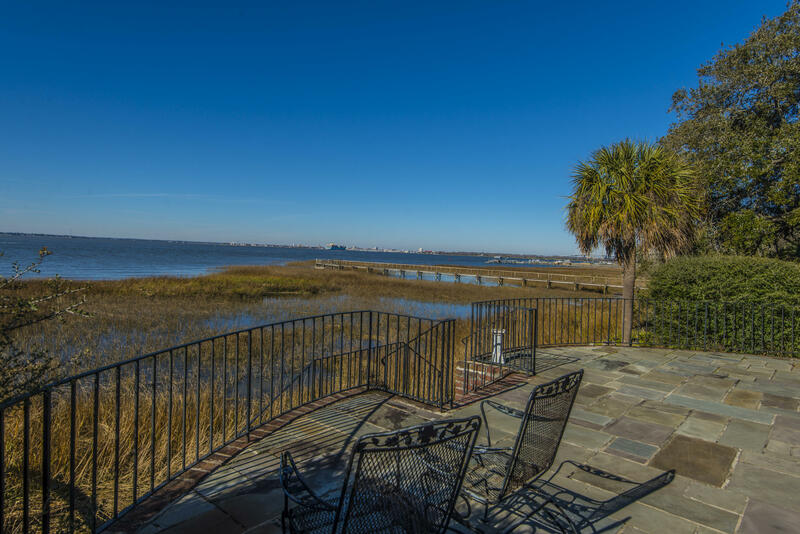 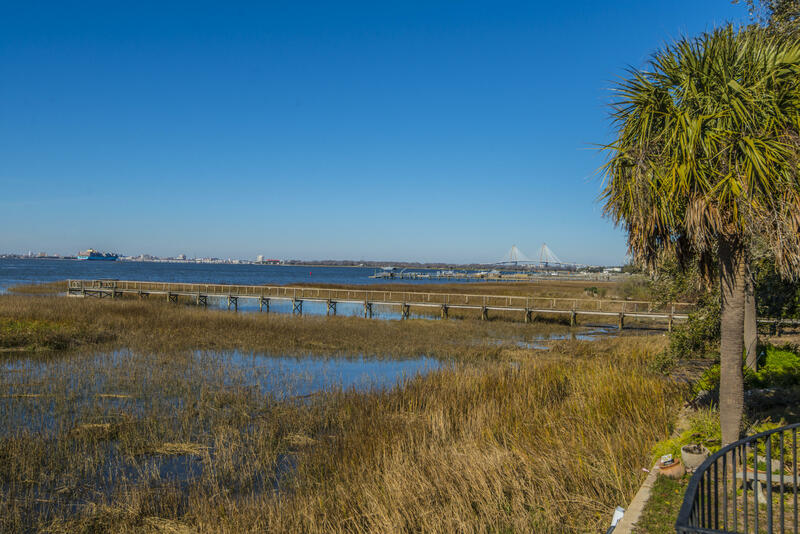 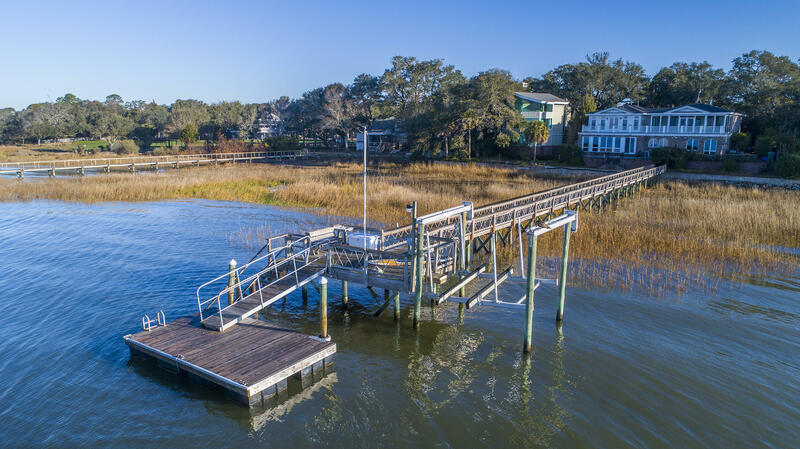 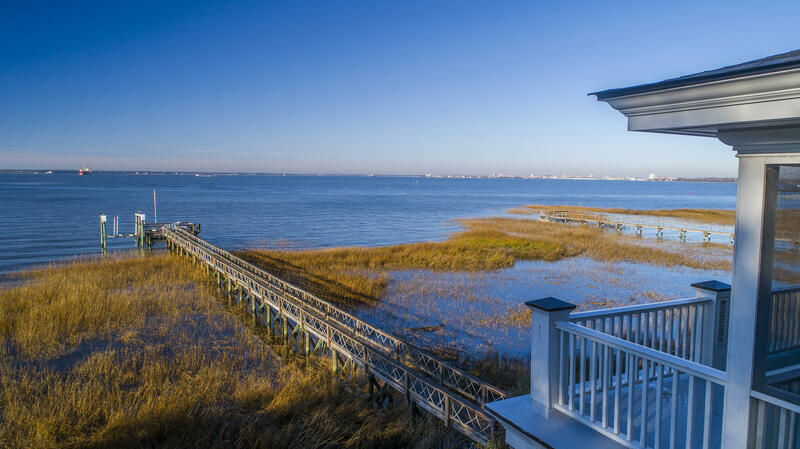 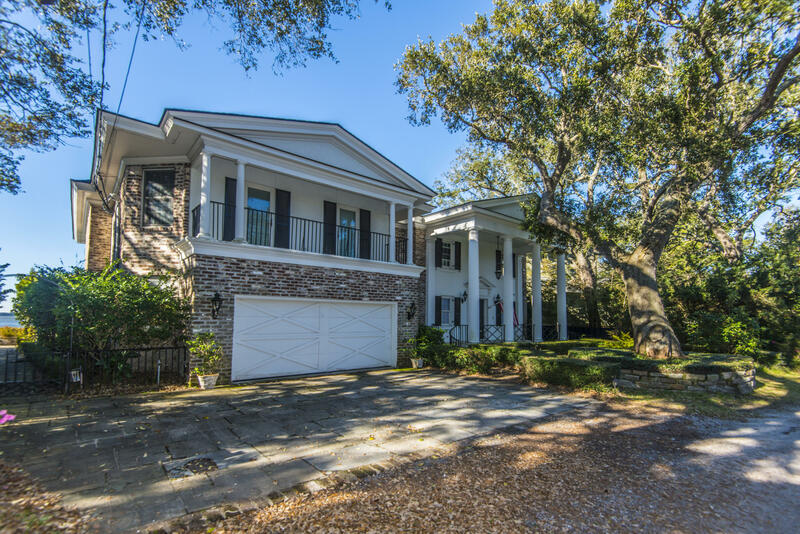 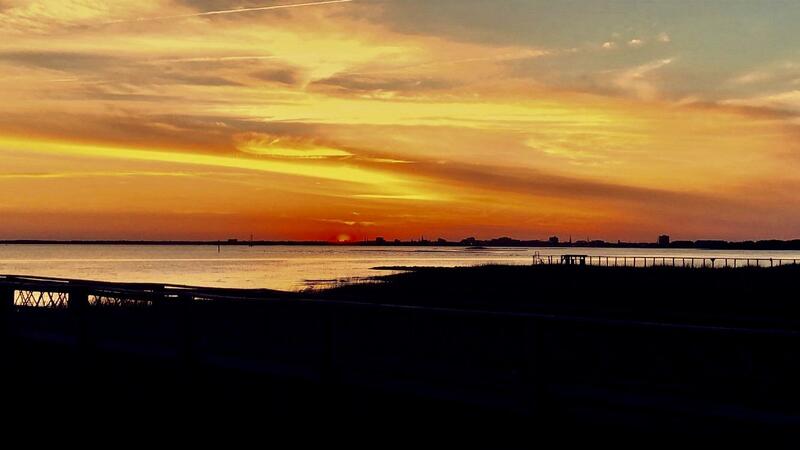 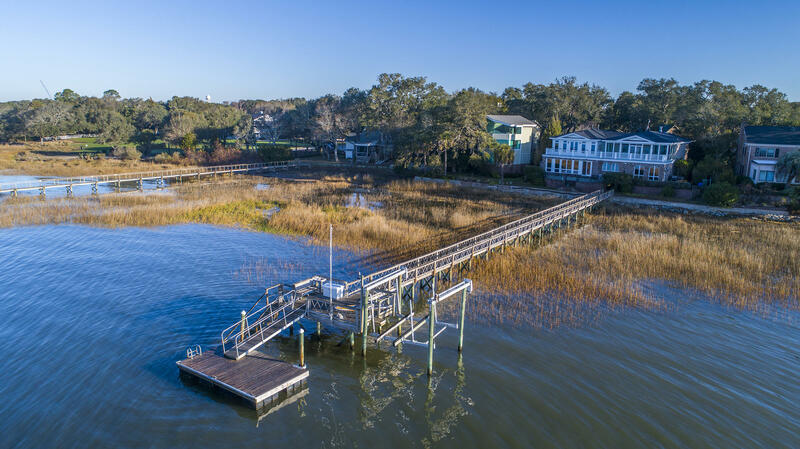 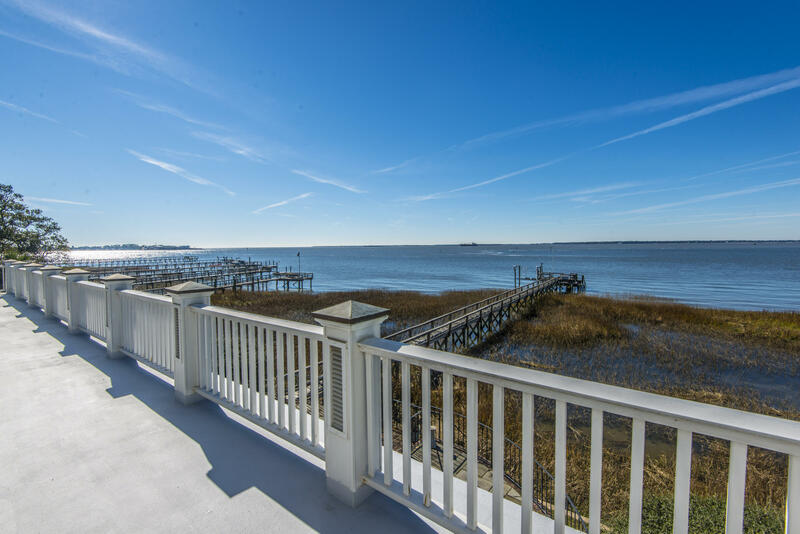 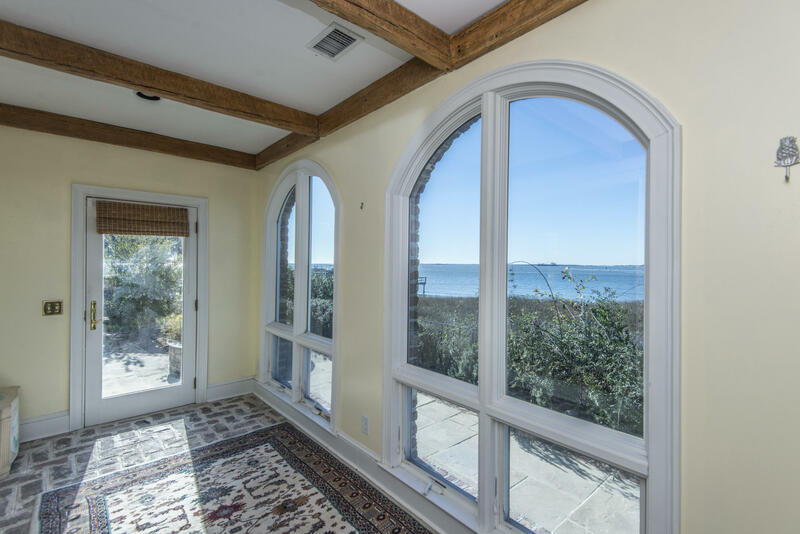 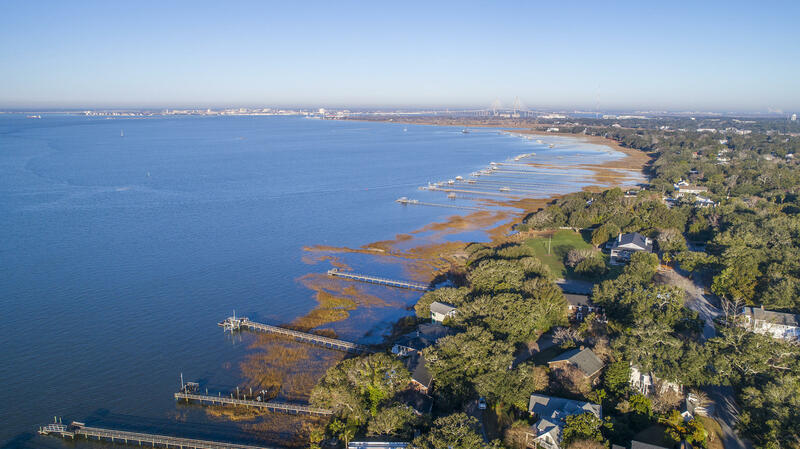 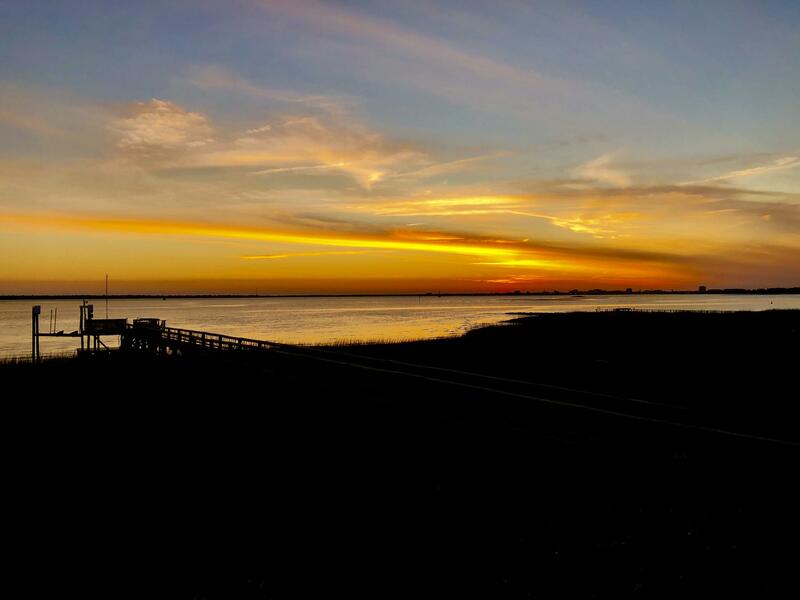 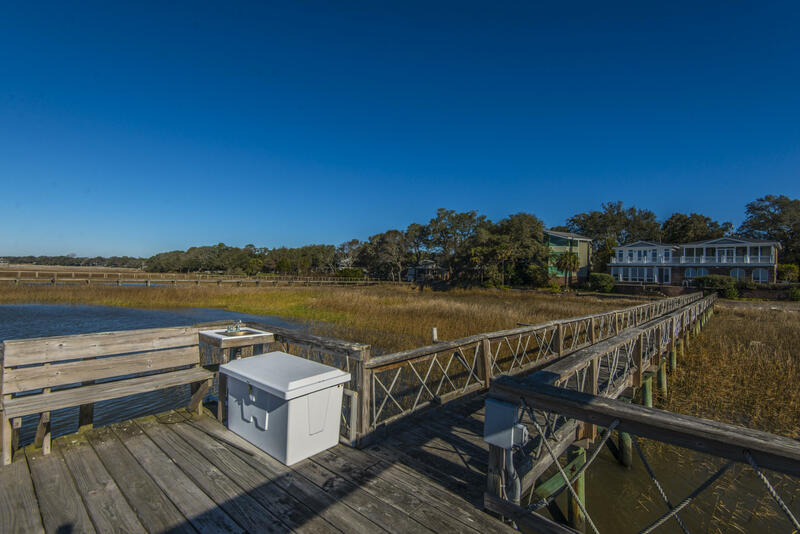 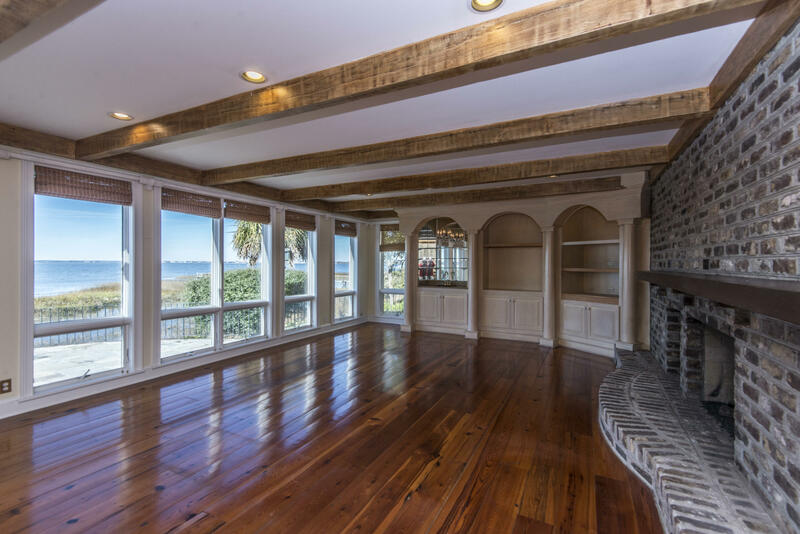 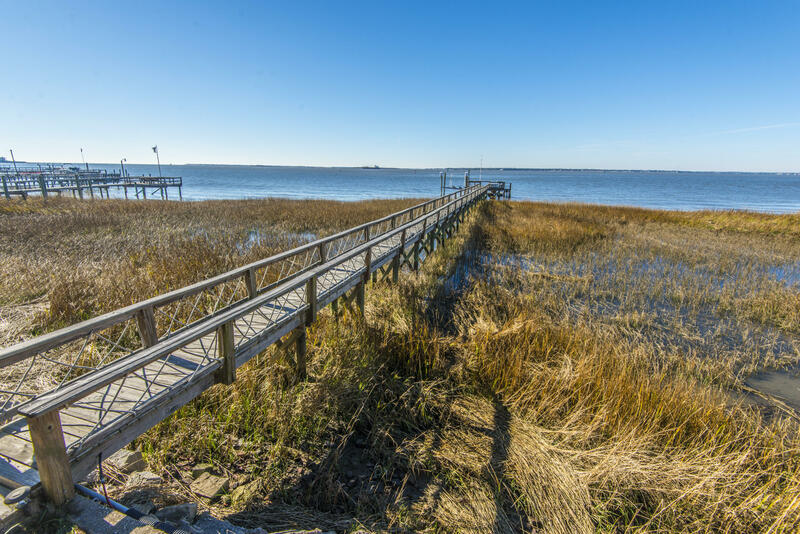 Comfortably located in the center of this circular drive, you will find 5 Pierates Cruz w/breathtaking panoramic views of Sullivans Island, Fort Sumter, Morris Island, Downtown Charleston, & all the way to the new Arthur Ravenel Bridge in the Charleston Harbor. 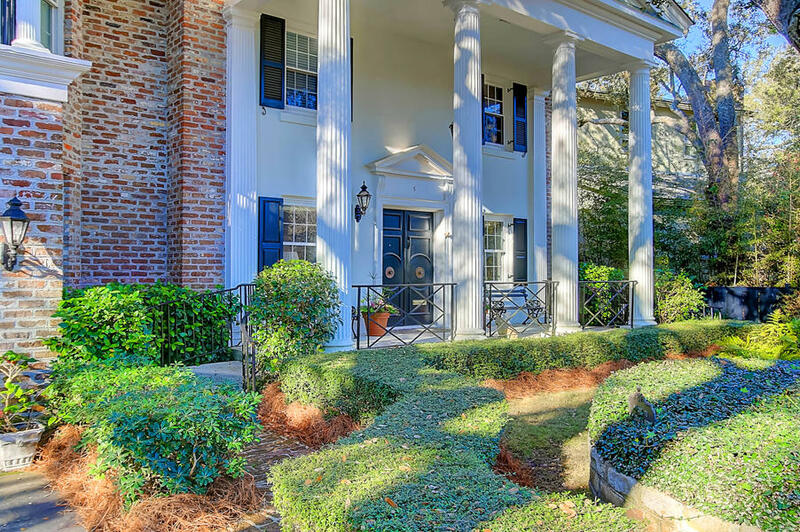 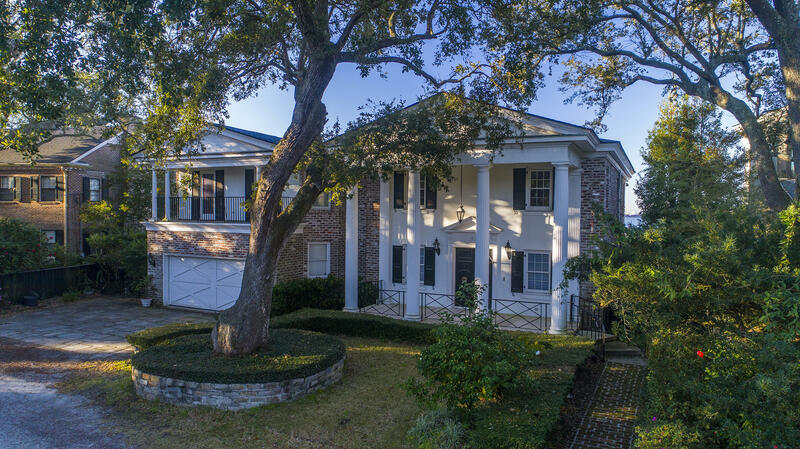 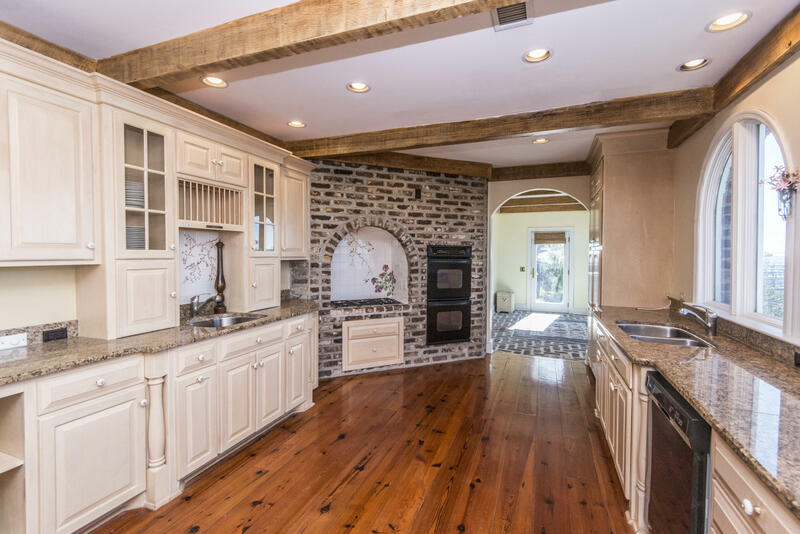 This stately & well-maintained home is complete w/the Southern charm of an old plantation home. 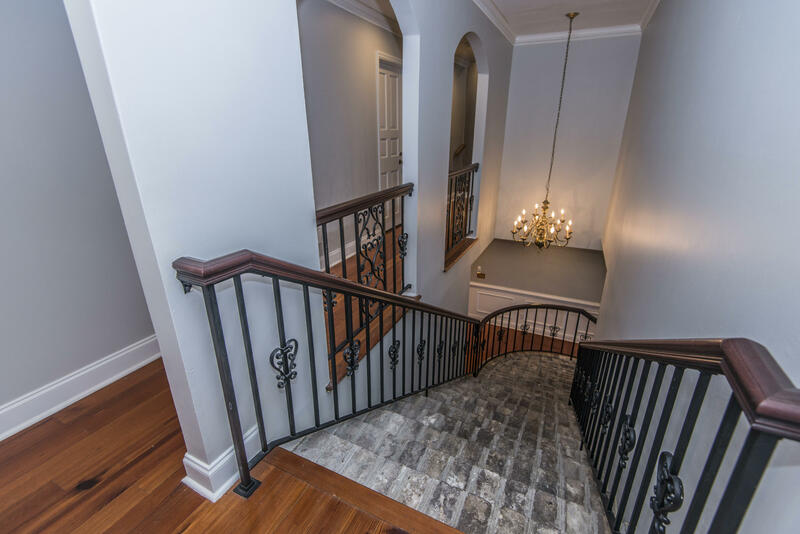 From the time you drive up to this stunning home, you will be greeted by the grand two-story columns gracing the front of the home along w/the intricate brickwork & the meticulous landscaping. 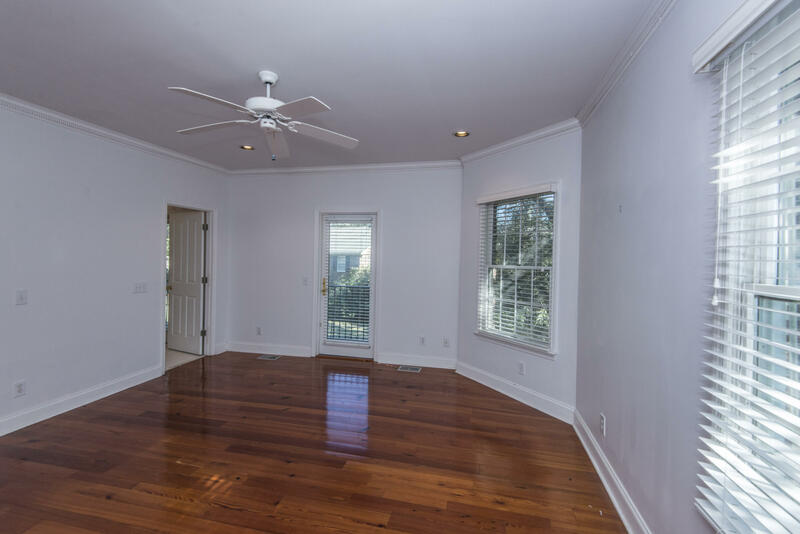 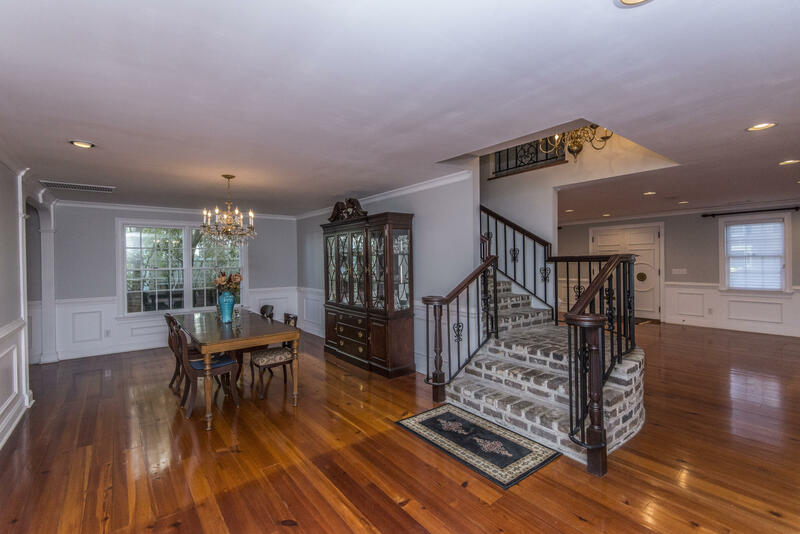 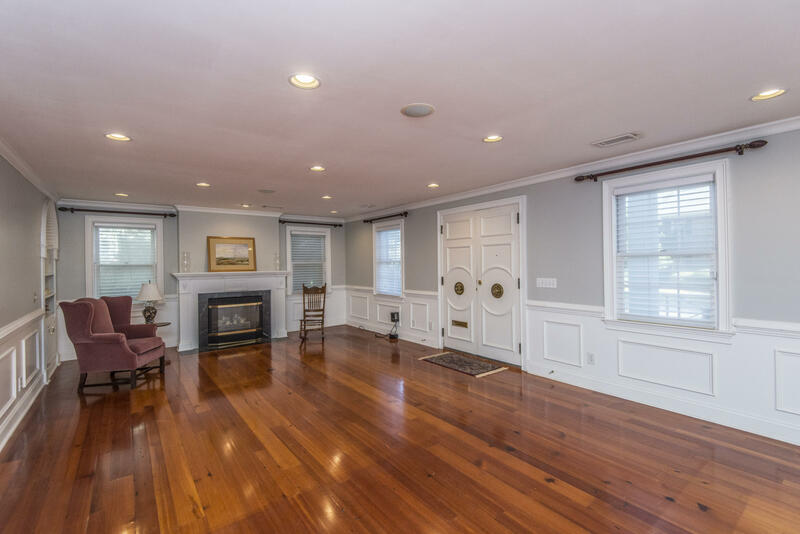 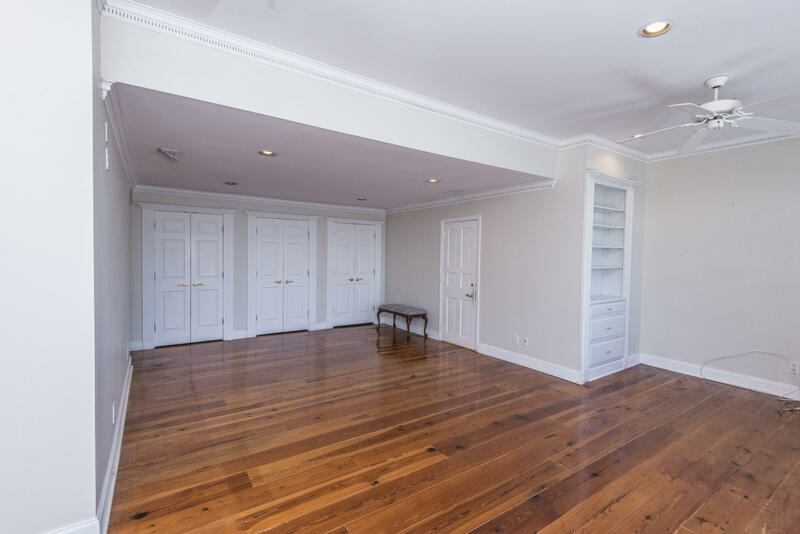 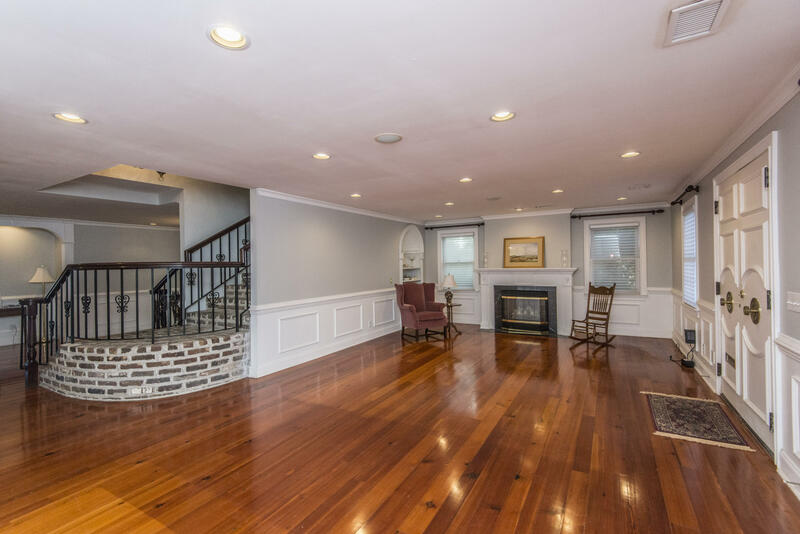 This property features a large formal living room w/fireplace & piano nook, a splendid . 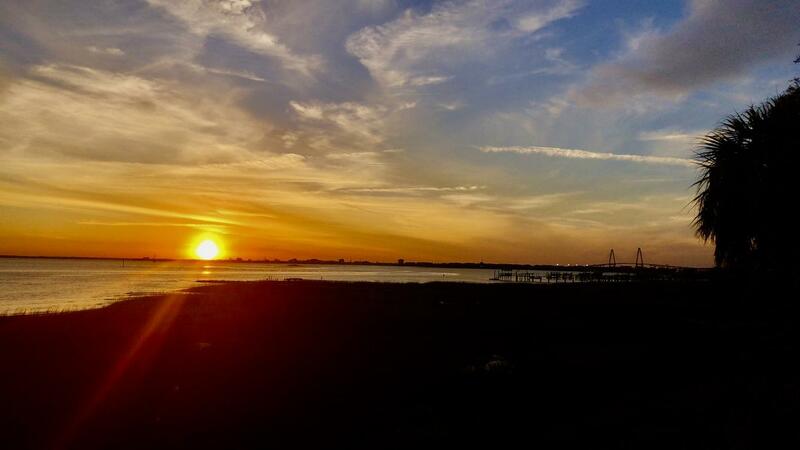 . . (MORE) . 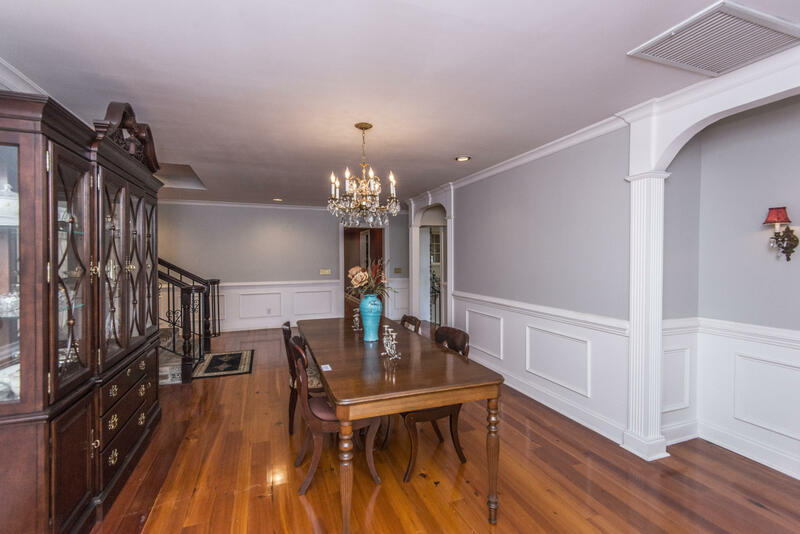 . . brick staircase, & a spacious formal dining room w/an abundance of space for all of your formal furnishings. 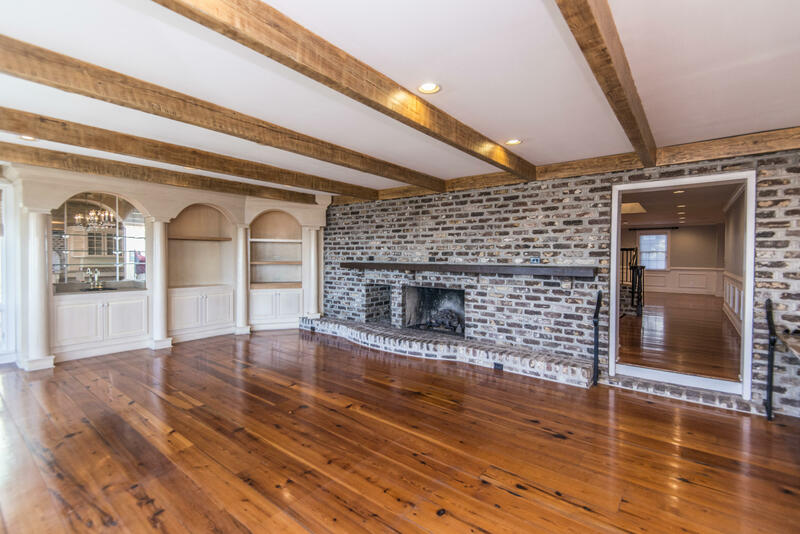 At the rear of the home, you will find the expansive family room w/brick fireplace, wet bar, a wall of windows, & access to the bluestone terrace. 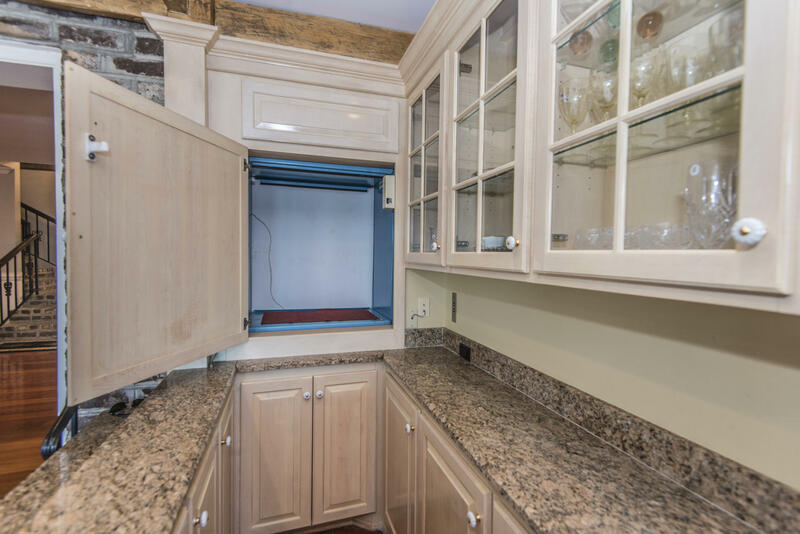 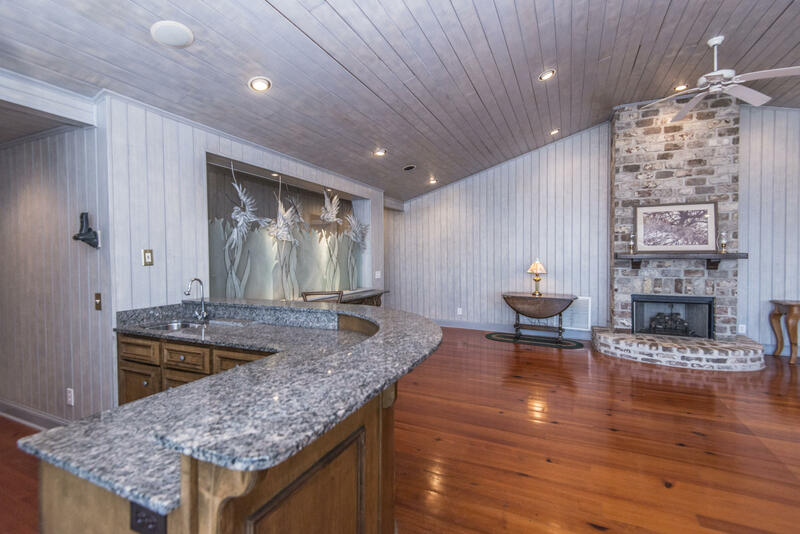 The gourmet kitchen is open to the family room & features granite countertops, a Subzero refrigerator, a Wolf gas cooktop, double ovens, dumb waiter to the upstairs, & an abundance of cabinets. 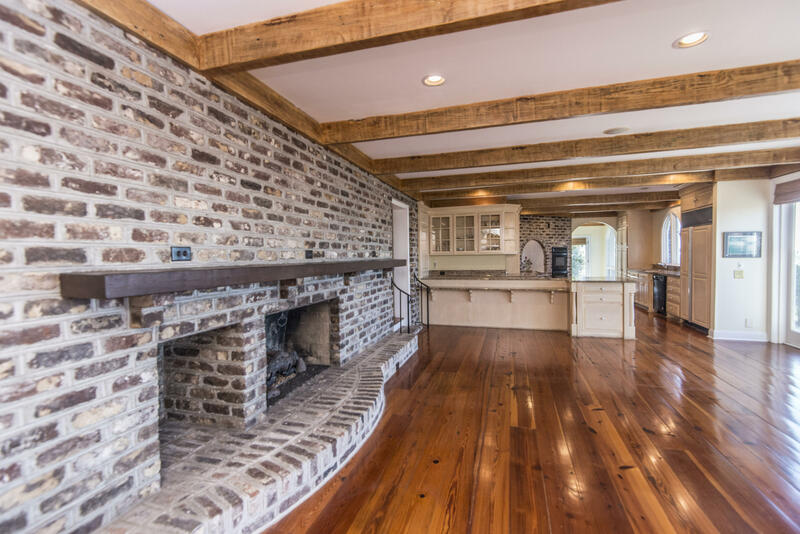 The finishes including dental molding, antique beams, beautiful Heart Pine flooring, & extensive brick work make this an impressive & unique property like no other! 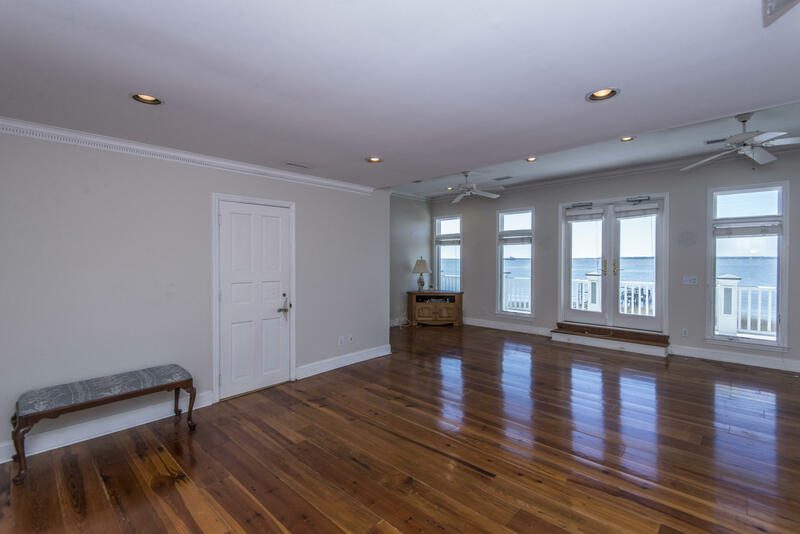 Also on the first floor, there is an in-formal dining area/sunroon w/stunning views, a powder room, laundry room, exercise room w/full bath including steam shower, plus a second master w/private bath including whirlpool tub/separate shower & large walk-in closet w/built-ins. 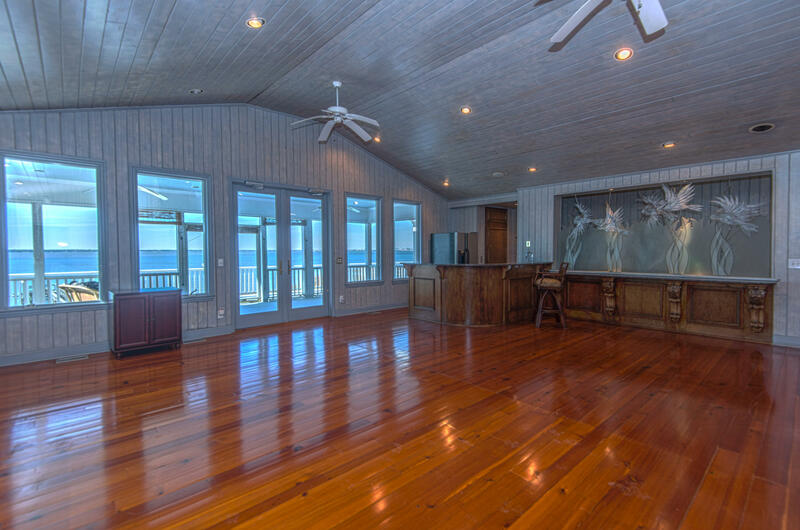 Upstairs, you will find the master suite w/exterior access to the second floor balcony. 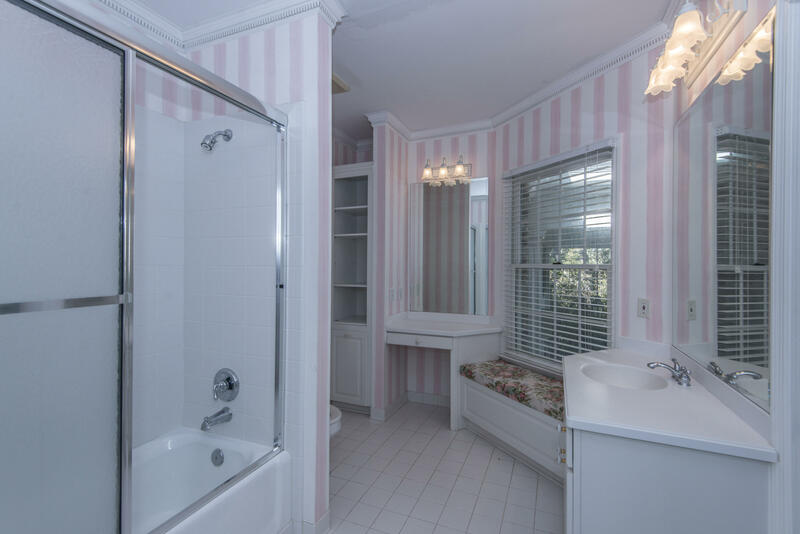 Do not miss the stellar views from your private master suite! 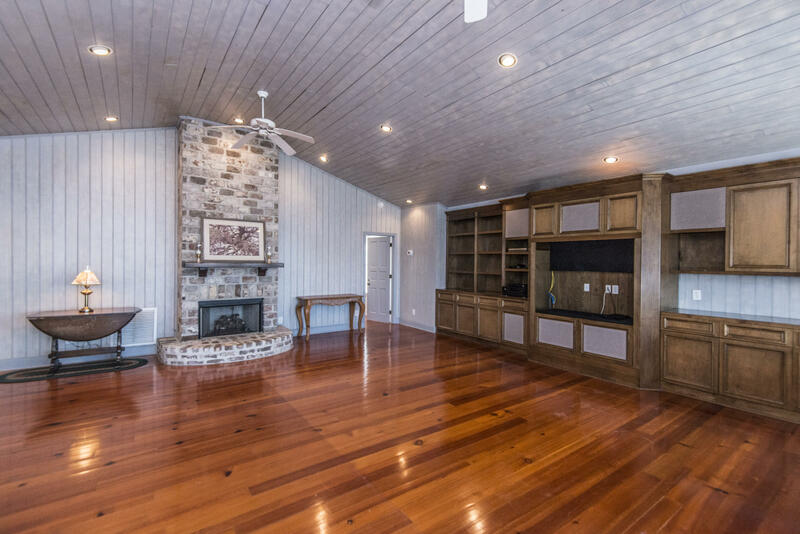 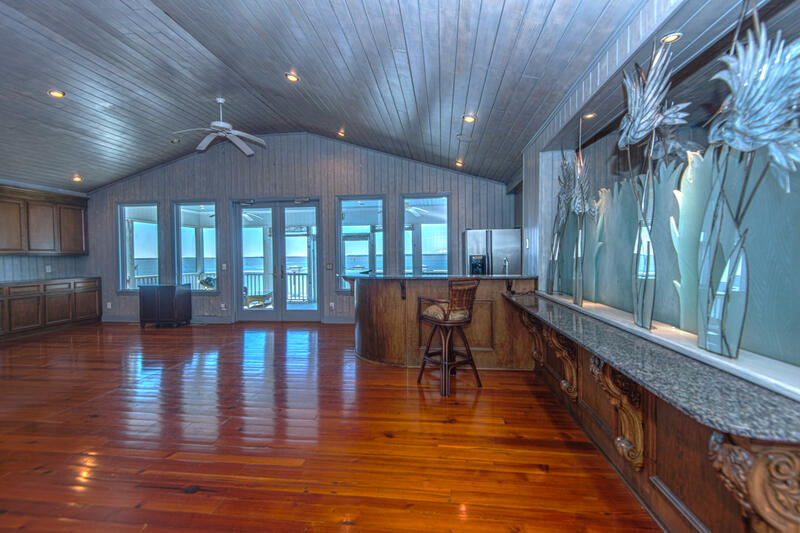 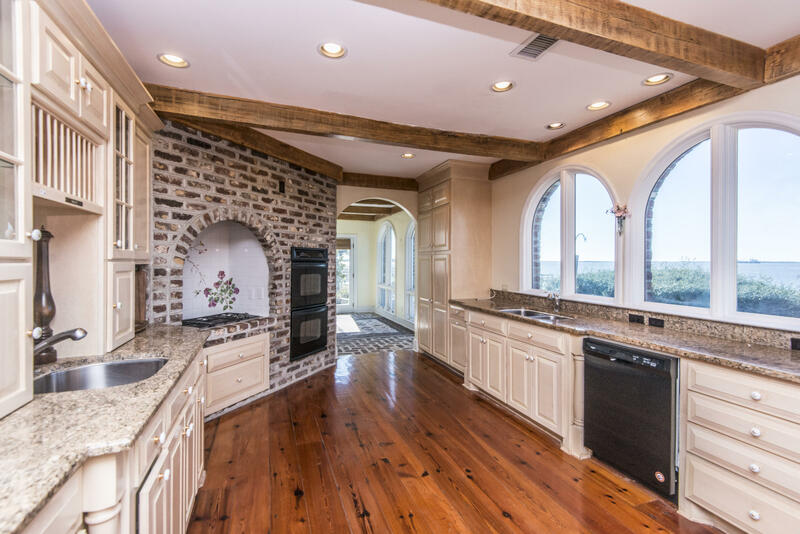 Also located on the second floor, you will find a large 24'x26' great room complete w/wall of built-ins, massive brick fireplace, impressive bar w/access to dumb waiter, back staircase to the lower center hallway, & access to the screened porch & deck with spectacular panoramic views! 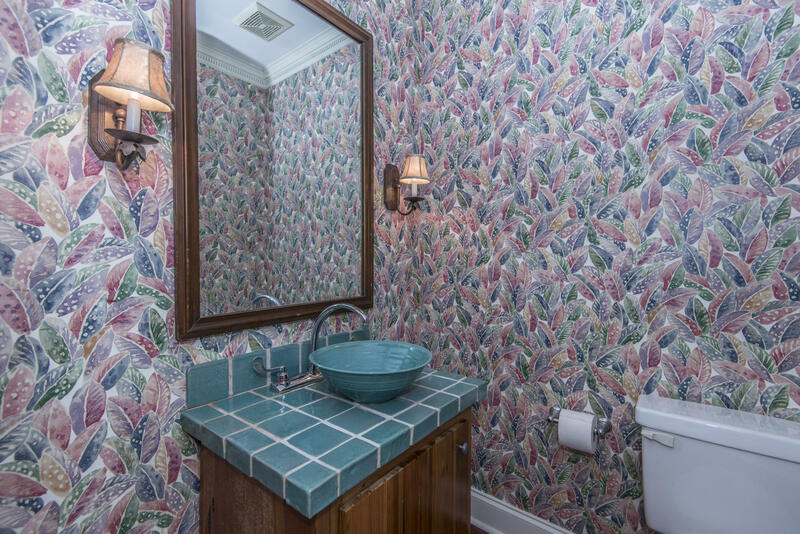 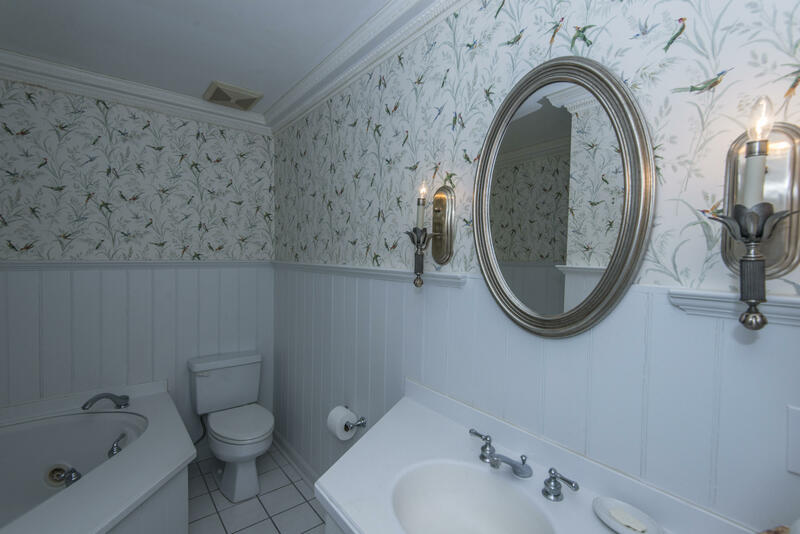 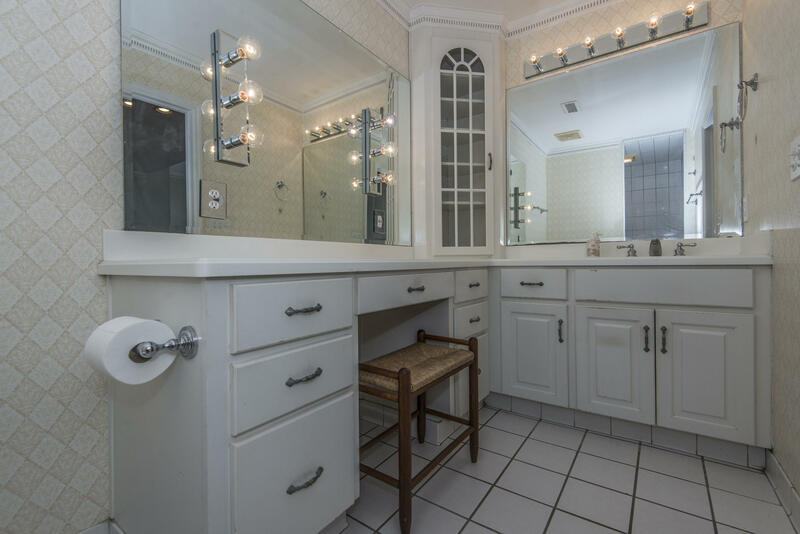 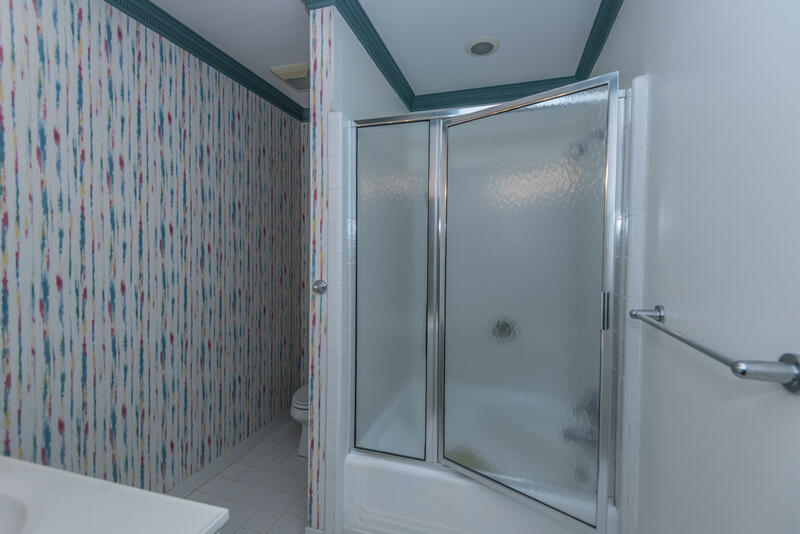 Additionally, you will find 3 bedrooms, 2 of which have their own private baths, & a hall powder room. 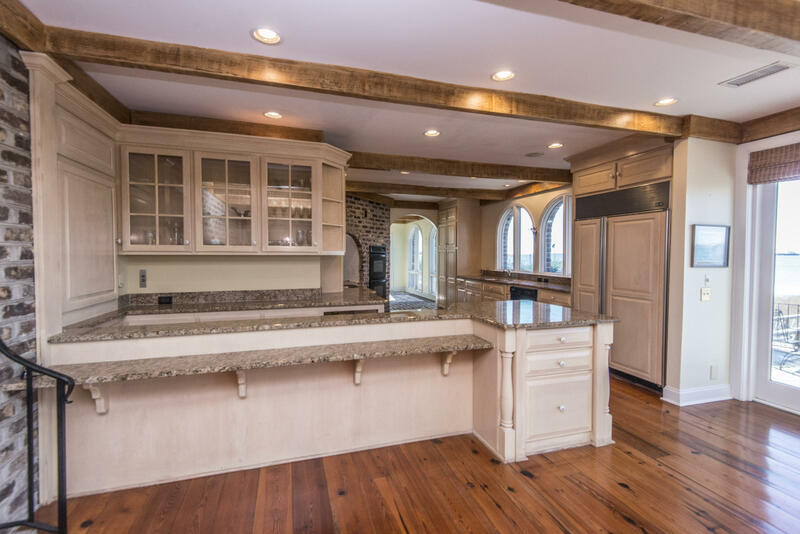 The custom features of this home also include custom metal banisters, custom brickwork throughout, arched windows & openings, a total home audio system w/individual room controls, central vacuum system, alarm system, 2 tankless hot water systems, lawn irrigation, plus private dock w/boat lift & 10'x18' floater. 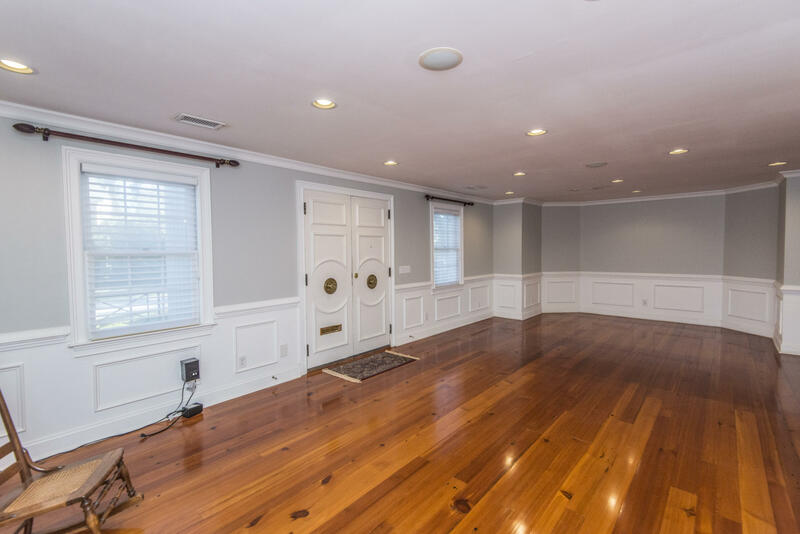 Recent updates: all new neutral paint in formal areas, plus staircase & upstairs hallway; new roof & all flat decking resurfaced w/Seal-o-flex System in 2018! 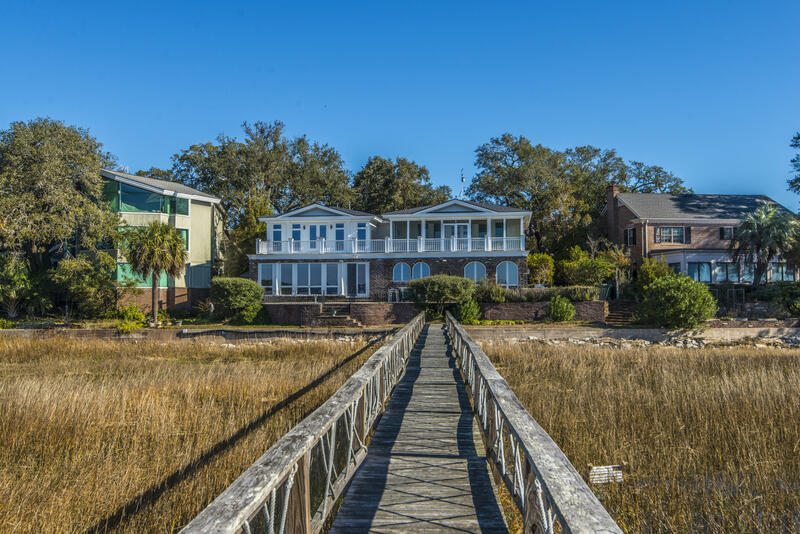 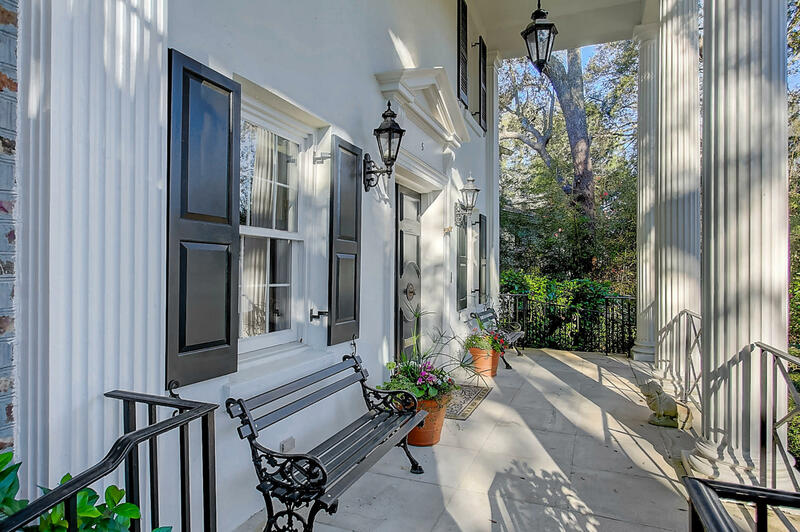 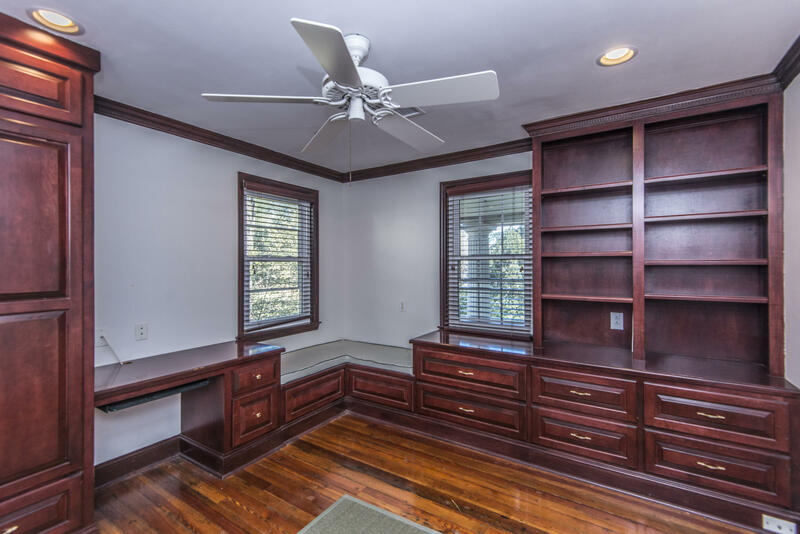 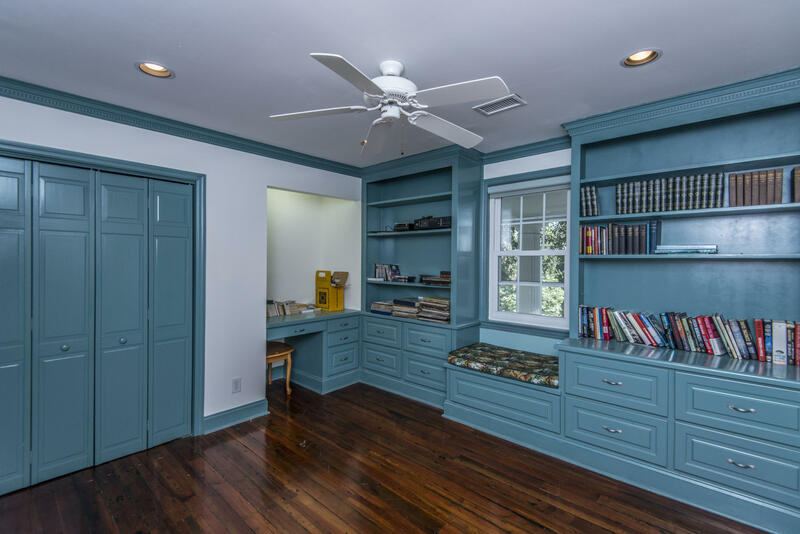 This home offers a true sense of Old Charleston sophistication, while still incorporating modern features and upgrades. 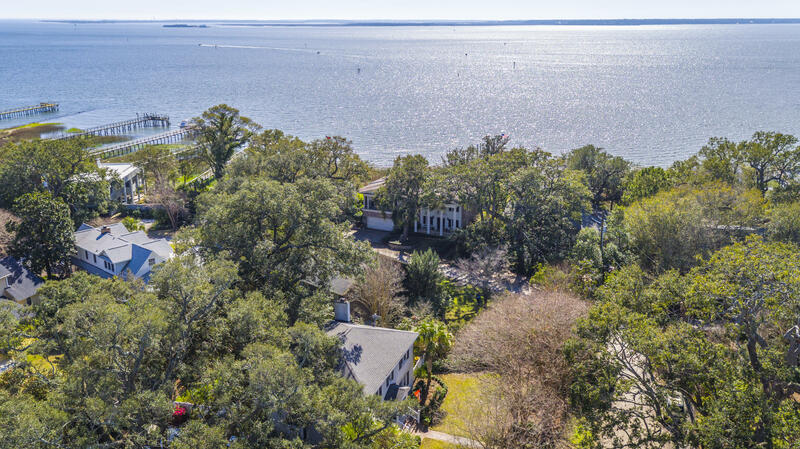 Don't miss the attached photos, aerial photos, & visual tour, & be sure to schedule a private showing to view this one-of-a-kind Old Village home soon!